We work hand to hand with the best companies to offer you professional & superior service in Chicago and suburbs. If you need meticulous transportation assistance for the biggest day of your life, you can feel comfortable turning to us. Since we know wedding days can be exhilarating and often stressful experiences, we'll do everything to ensure that your wedding limo service is as smooth as can be. We always go the extra mile to give our valued clients the attentive, diligent transportation service they deserve, regardless of the specific occasion or event. 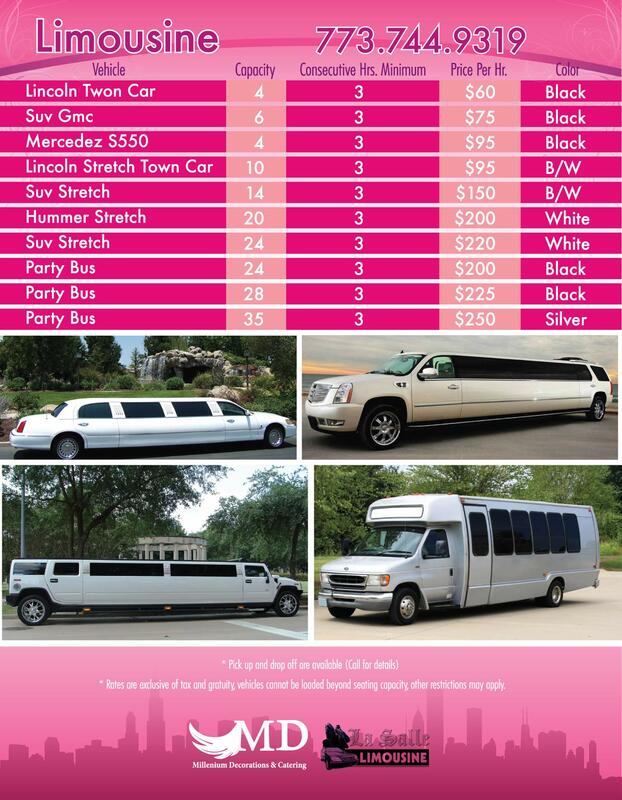 Our limousine rates are competitive, contact us for a free quote or download the PDF below. WEDDING SERVICES IN CHICAGO, Limousine Service Weddings, Corporate Events.